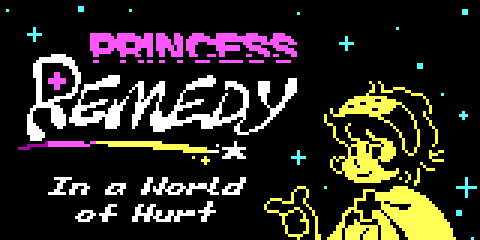 10 thoughts on "Princess Remedy released"
I just finished this game on Steam – really enjoyed it. The bonus of choosing who to marry at the end is a brilliant reward. If you guys ever do make a sequel, I for one will definitely pay for it. Now that’s a nice game. 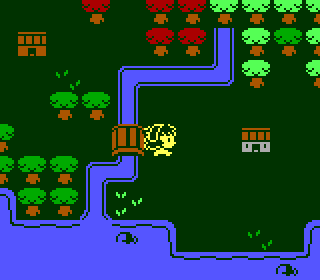 Kind of reminds me of Legend of Zelda: A Link to the Past with its background graphics, if it weren’t so retro looking. Great design, and it’s a good call to keep things simple. The boss design is nice, keep at it! Mokesmoe: It appears that it depends on your graphics card whether it becomes blurry or not. Please try the other exe file and see if there’s a difference (one uses DirectDraw, the other uses Direct3D). Whenever I have the game on any size other than x1 it’s really blurry. Auburn: We’d love to do a sequel! We’ll see if/when that happens. Anton has already made some graphics for it. I’ve been working on an updated version of the game with gamepad support, Hard and Master difficulty levels, and some other tweaks. I also changed that line you suggested, Bedinsis. Version 1.2 should be up within a few days. This game is so cool ! The characters are lovely and everything is now perfect for the start of this year. Well, at long last I managed to get the game running. And I must say that I was impressed. It might have started out simple but before long the challenge increased to that sweet spot when you’re *this close* to being able to beat it, yet the game doesn’t feel unfair. …well almost. It was a bit annoying to throw a healing flask and quickly turn around and have the recently thrown flask turn with you. I also liked the Final Fantasyesque monologue of the final boss, and the superhard encounter with Frallan’s broken heart. As you might recall I was in the programming stream, and thought up some of the disease exchanges. Oh, please do a sequel. This was my favorite (and in my opinion the best) of all the games in the bundle. 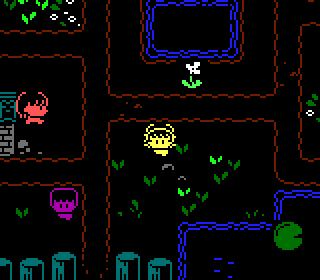 I felt enchanted by the little world created in this game and would love to know more about it. And learning why Frallan disappeared was a surprise I did not expect, but greatly enjoyed. Loved this game! « Scrolls released on Android tablets!